Legacy - No, not a Bourne film. This is the Japanese car. It’s a Subaru. It goes “wubwubwubwub” but curiously, it’s not an Impreza. Ah yes, Subaru. Famed for going “wubwubwubwub” followed by crashing into a trolley park at Tesco. That or they end up on Police Interceptors. But that’s enough stereotyping. Besides, we’re not even talking about the ‘I’m a rally driver, even though I live with my Mum and work at Halfords‘ Impreza. No, we’re talking about something far more civilised, but still just as wubwubby. 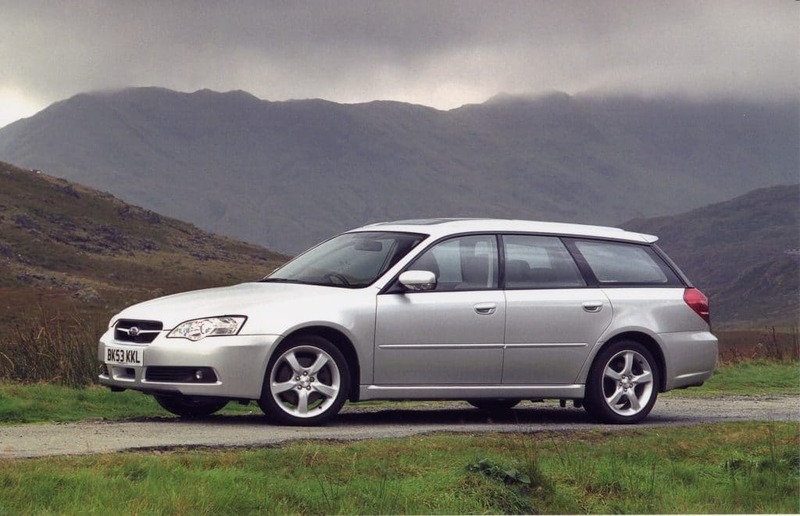 This is the Subaru Legacy. You’ll find no stickers plastered down the side of one of these. 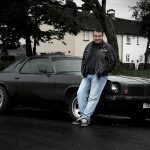 Nor will you find Nicky Grist in the passenger seat. Unless of course you’re mates with Nicky Grist. In which case, well done you. The Impreza was a bit of a double-edged sword for Subaru. There’s no doubt that it put the company on the map thanks in no small part to its rallying prowess. But it also created a bit of a, dare we say, yobbish reputation for the brand. On the stages, the Impreza was mighty. On the A627M driven by someone called Gavin, and plastered with Monster Energy stickers, it was not. So what could you do if you wanted a slice of the Subaru pie, but didn’t want to be mistaken for a member of the less literate portion of the great unwashed? Well, quite simply, you could buy a Legacy. It’s been around since 1989. 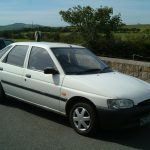 It has the same flat-four engine as its ASBO collecting brother and it has all-wheel drive, too. And then there’s the fact that the Legacy was a bit of a weapon on the stages. It just doesn’t feel the need to drink nine pints of Carling before slurring tales about it. 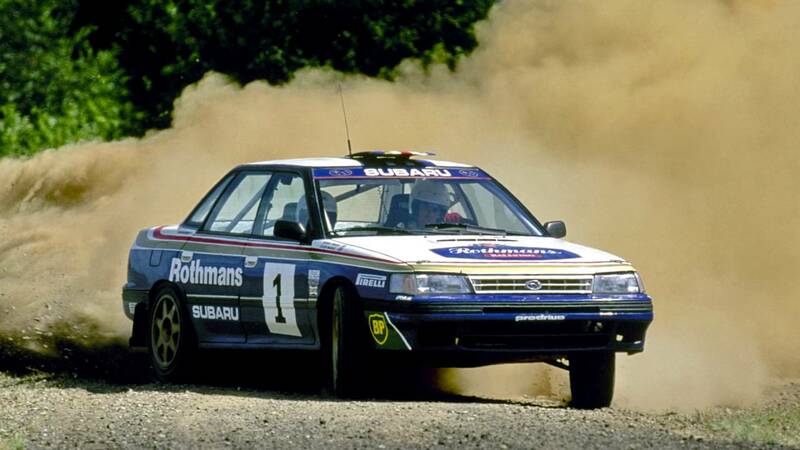 Back in the early ’90s, the works Legacy was a WRC monster. Piloted by the likes of Markku Alen, Ari Vatanen and of course, Colin ‘I bet I can crash into that’ McRae. In fact, Colin won the championship in 1991 and 1992 in a Legacy, in turn laying the foundation of his motorsport, um, legacy. In reality, it was the Legacy that paved (or gravelled? It was unstoppable on gravel) the way for the Impreza, no matter what Gavin tells you. Besides, Gavin’s Impreza is a non-turbo Sport with WRX bumpers he got from the scrapper down the road. WE’RE ON TO YOU, GAVIN. 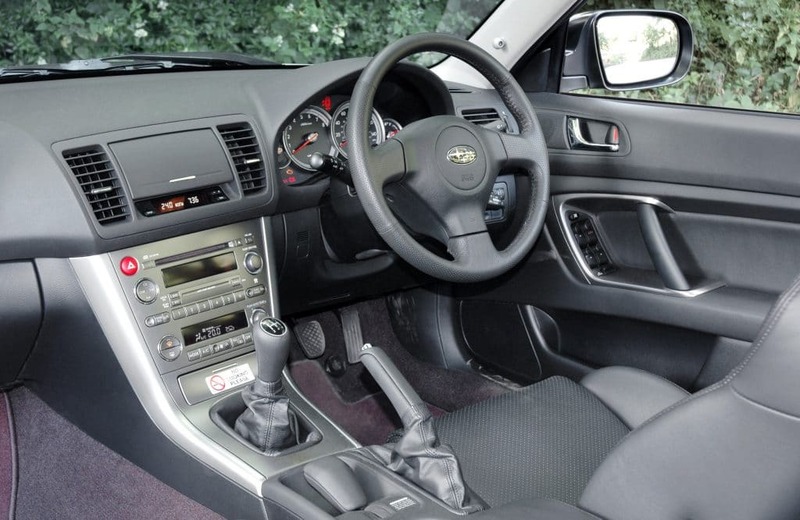 Over the years, the Impreza has morphed into what is now just called the WRX. It’s still a rally weapon, or at least it likes to think it is. It doesn’t let the fact Subaru left the WRC in 2008 bother it. It still shouts at trees, it still goes wubwub and it’s still got a big spoiler. The thing is, it’s also still brutally agricultural to drive. We’re not saying that’s a bad thing. It’s just it’s, well, it’s an acquired taste. That’s where the legacy comes in. It’s more civilised, more grown up. 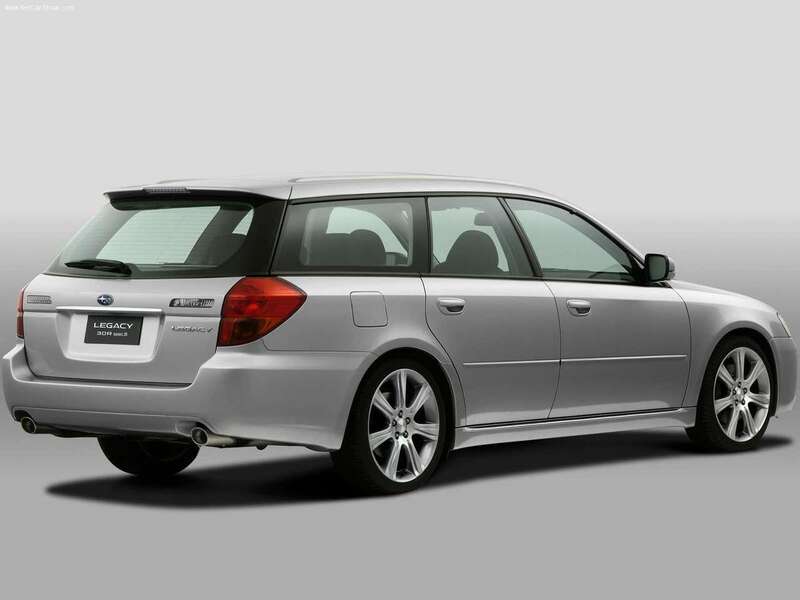 Especially in, as we’re focusing on here, Sports Tourer (estate) guise. But underneath its mature exterior still beats a rally-bred heart. The Legacy is the perfect mix of something fun, but also something practical and importantly, something that you can live with every day. 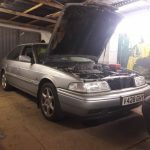 Engine wise, your £2,000 will comfortably put you into a 2.0R. 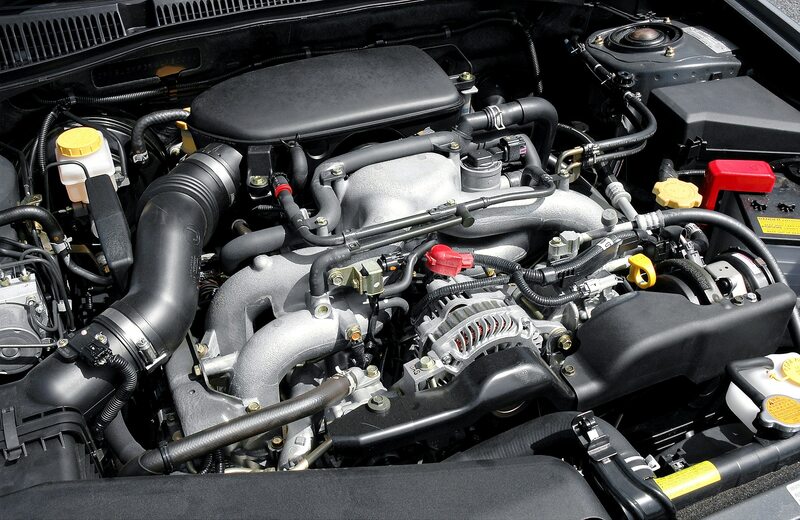 You don’t get a turbo, but you do still get 162bhp. 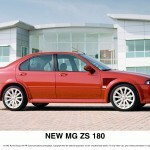 There is a 135bhp version, but that’s for losers, so don’t bother. There is a diesel too, but that came later and as such, it’s not within budget unfortunately. The 162bhp petrol is ample though, and the absence of a turbo is no bad thing. It means no lag and less mechanical clobber to go wrong. And because it’s still a flat-four (pistons lie horizontally in opposing pairs) you still get to wub like a good’un. The only downside is that fuel efficiency isn’t the Legacy’s strong suit. A combined cycle is quoted at around 31mpg, which isn’t stellar. But hey, you’re getting a relatively modern, supremely reliable car for not a lot money. You can’t have everything. If you want silly power, there is the flat-six 3.0R. It has an impressive 241bhp, again naturally aspirated. However, while these do pop up in budget, you’re braver than us if you buy one. The chances are it will have been flogged to death. Probably by someone called Gavin. On the road, the Legacy is composed and brilliantly surefooted. The full-time four-wheel drive makes this car. It’s a technology Subaru knows well, and it shows. Add in the low centre of gravity from the flat-four engine and you have a car that handles far better than you’d think. It inspires confidence, that’s for sure. Despite the fact it’s an estate that you’ll probably fill with children, dogs and things for the tip, you’ll still be able to channel your inner McRae. Only do this when driving a car though, not a helicopter. Inside, it’s typical Japanese gubbins. Generic, admittedly cheap plastics are aplenty. But they are durable, so there’s that. It did get a face-lift in 2007, but they’re still over budget we’re afraid.Face-lift or not, the Sports Tourer has a gargantuan 1,385 litres of space with the 60/40 spit seats folded flat (459 when they’re up). Plus, like a proper estate, the boot floor and opening is low. So you can put stuff in it without getting a hernia for your troubles. There’s plenty of adjustment in the seats, too. That said, it can be tricky to get settled, thanks in no small part to the steering wheel only being height adjustable, not reach. Odd for a car this big. Uri Gellar tribute act, Euro NCAP, never shot this generation of Legacy at a wall. They did bend a Forester of the same age though, and that got four out of five stars. 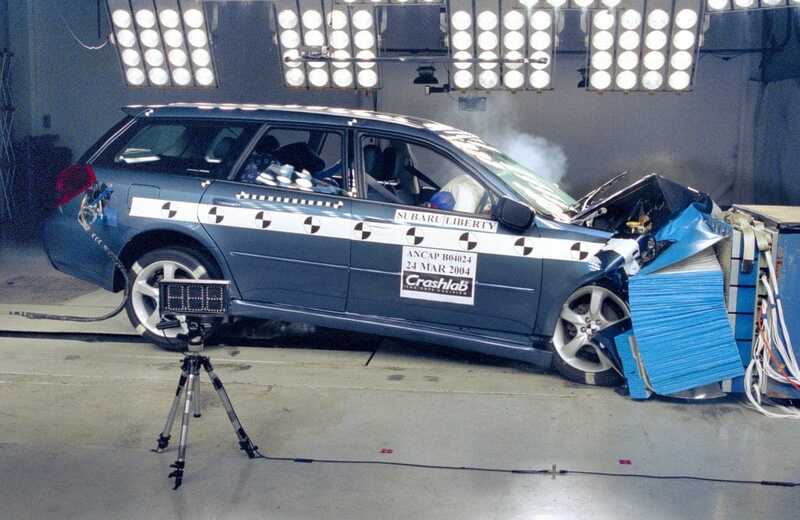 Also, the IIHS (Insurance Institute for Highway Safety… catchy) did, and they said it was “good”. Better than bad, right? You get six airbags and Isofix points, so you should be okay if you go ‘full McRae’. Again, in the car. Not a helicopter. The Legacy can’t help you there. So there you have it. The Subaru Lagacy. It’s the thinking man’s Impreza. Unless of course, you’re called Gavin.